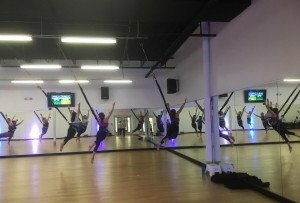 Psst: They have TONS of free classes on the schedule for opening weekend. 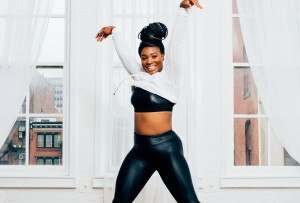 By Adjua Fisher·	 9/27/2017, 10:28 a.m.
Good news, Barre3 junkies: The Portland, Oregon-based franchise boutique fitness studio Barre3, which currently has five Philly-area outposts, opens its sixth area studio — drumroll, please — in Blue Bell tomorrow! And they’re celebrating with a full weekend of free muscle-shaking classes. Like, SO many free classes, you guys. Barre3 is known for their hourlong barre workout that draws from ballet barre, Pilates, and yoga, working in larger movements and cardio (confession: I usually find barre classes mind-numbingly boring, so when I tell you their classes are fun, that’s really saying something), along with smaller, more-controlled movements and isometric holds. The studios are also known for being pretty kid-friendly; for an added cost ($5 per class at the new Blue Bell outpost; free for opening weekend), your kid can hang out in the play lounge while you get your sweat session in (just check the schedule to make sure child care is available during that class time). Barre3 Blue Bell, helmed by Barre3 instructor Emily Rothrock — local Barre3 devotees likely know her from other Philly-area studios — will be opening its doors in the Center Square Commons shopping center at 970 Dekalb Pike in Blue Bell tomorrow, Thursday, September 28th. And get this: They have a whopping 20 free classes on the schedule from tomorrow through Sunday. So yeah, you’re going to want to get in on that action. You can sign up for free opening week classes here, then the official class schedule kicks off on Monday, October 2nd.